family run business based in East Devon, which caters for most makes of cars and light Commercial vehicles. Conveniently situated at the hub of East Devon; 5 miles Honiton, 5 miles Sidmouth and only 11 miles from Exeter. A short drive up the new A30. 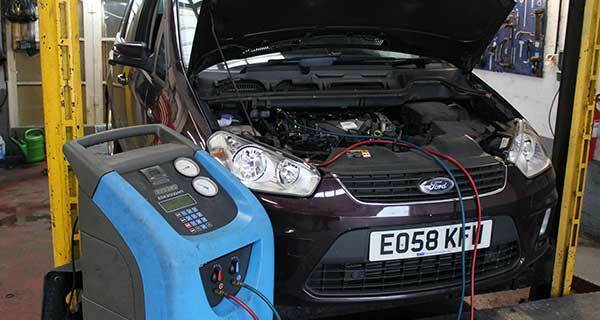 The Workshop is equipped with the latest diagnostic equipment and the technicians have attended Ford courses and are keeping up to date with the latest trends and innovations. We also have a SNAP-ON Solus Plus which can access the memory of most makes of vehicles. Our technicians have a wealth of experience. Same day service if your MOT has expired or by appointment. We can work on all types of car to re gas and have your air conditioning working in top shape. Give your car a new lease of life. Work carried out for Major Fleets and Lease Companies. At Lovells Garage we pride ourselves in solving any car or van issues. If you need assistance or are looking to have a vehicle MOT, then please call us on 01404 812007 or fill out the form opposite and we will be in touch shortly to book a suitable appointment.